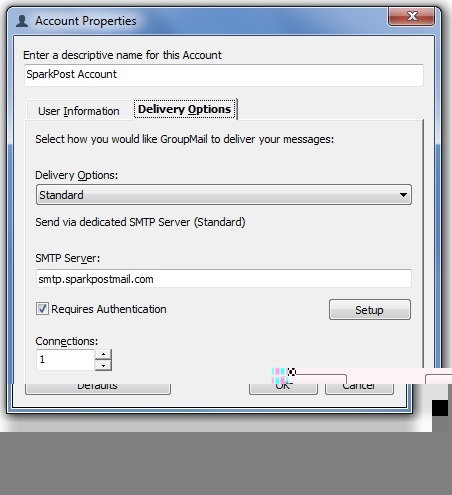 The following steps will walk you through using SparkPost with Infacta’s Group-Mail. 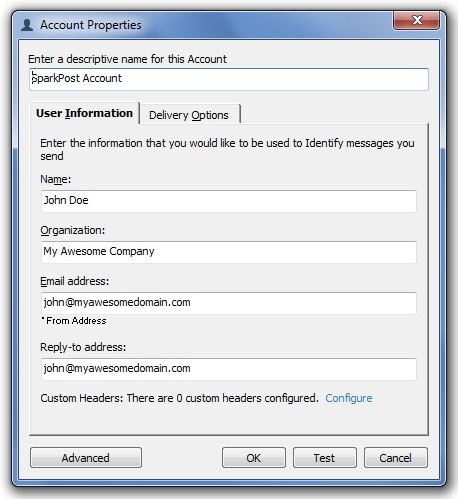 IMPORTANT: The email address and reply-to address MUST be set to an address at a domain that you have configured and verified on your SparkPost Sending Domains setup page (in this case ‘myawesomedomain.com’). Enable the ‘Requires Authentication’ toggle and click ‘Setup’. 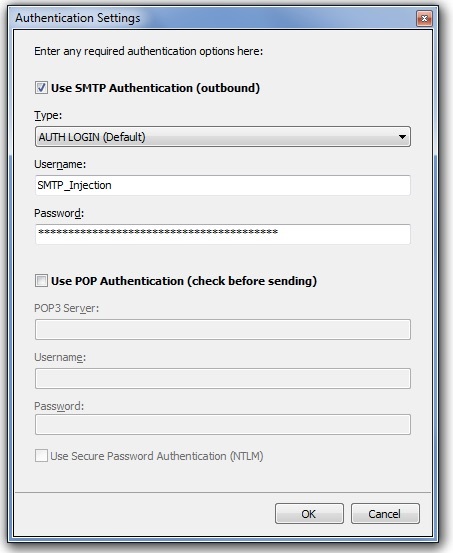 Select ‘Use SMTP Authentication’ with AUTH LOGIN as the authentication type. 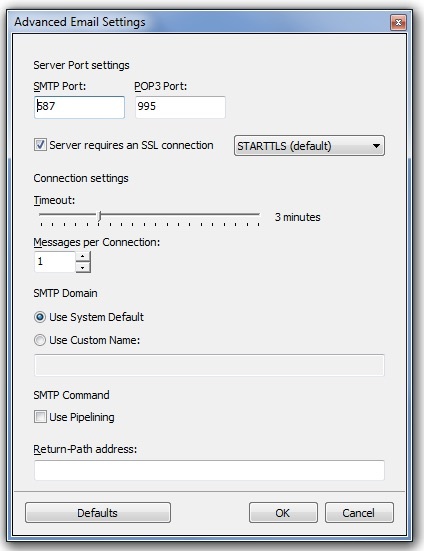 Then enter SMTP_Injection for the username and a valid SparkPost API key that you have generated from your account with the ‘Send via SMTP’ permission enabled. And that’s all there is to it! Happy sending!